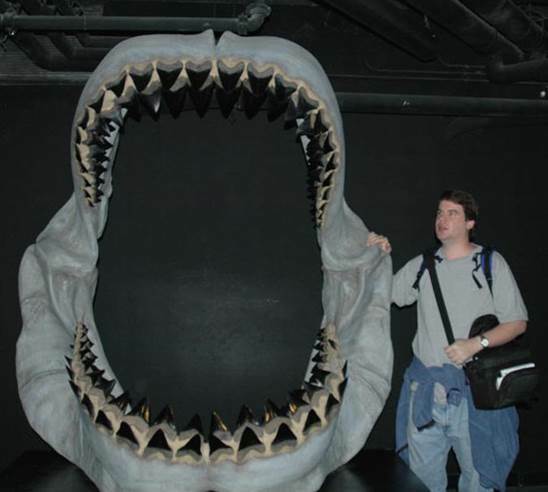 Carcharodon megalodon (fondly referred to as “meg” by fossil shark lovers) was an extinct giant white shark (a.k.a. megatooth shark). Like all sharks, the skeleton was cartilaginous, and the only commonly preserved fossil remains are teeth. 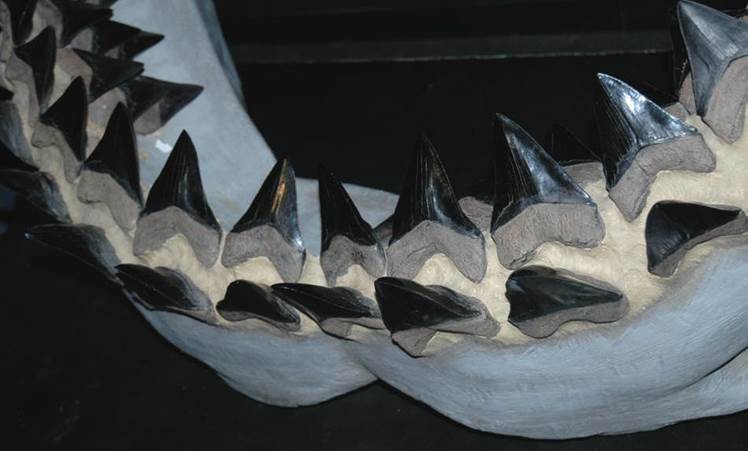 The teeth of this ancient giant shark had serrated edges, which function to readily slice through flesh. Estimates of original body size vary from 12 meters to >35 meters long. Fossil remains of Carcharodon megalodon are widespread in inferred warm-water marine deposits of Miocene & Pliocene age. 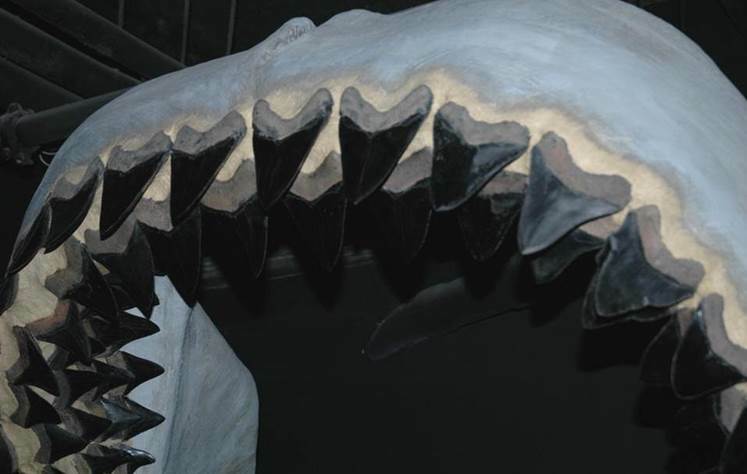 Considering the size of megatooth sharks, their diet is inferred to have consisted principally of whales (shark tooth marks on fossil whale bones are not uncommon). 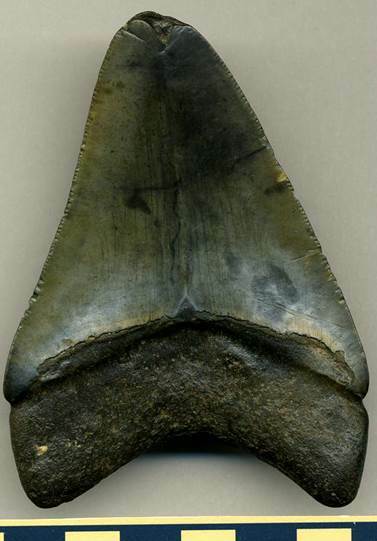 Carcharodon megalodon Agassiz, 1843 tooth (centimeter scale) from the late Cenozoic of eastern America. This specimen has a worn tooth tip (apex) & some abraded serrations. This is the labial surface (facial surface) of the tooth - the side facing outward. 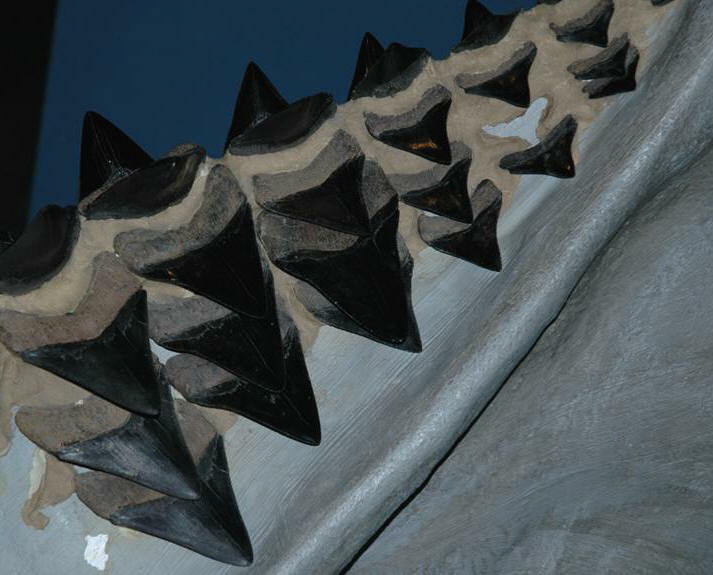 Labial surfaces of shark teeth tend to be flattish. The opposite side, the lingual side (the side facing the tongue) tends to be convex. The dark-colored lower quarter of the tooth represents the root; everything above is the crown. Specimen owned by Dane Lavender. 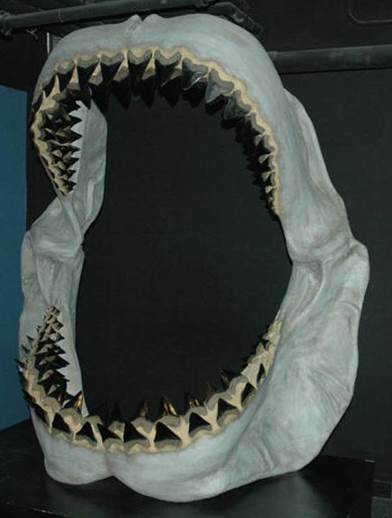 Carcharodon megalodon Agassiz, 1843 reconstructed jaw (above & below).